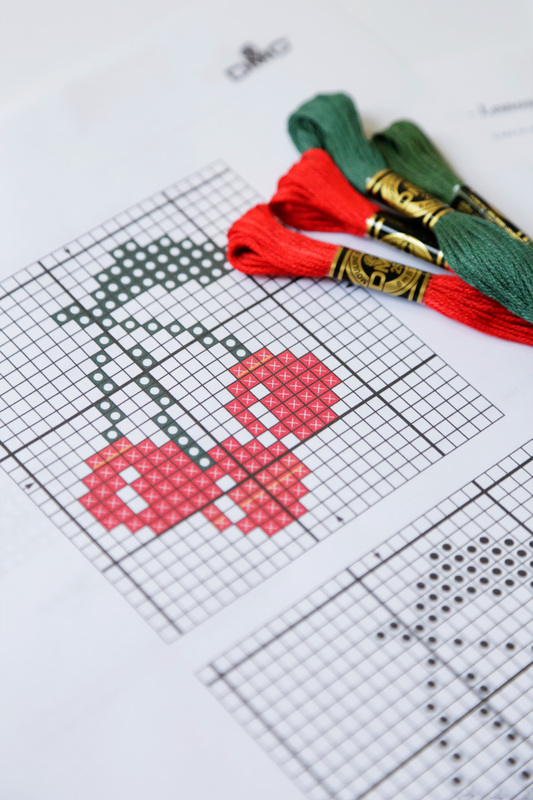 Canvas is selected based on the mesh size – the number of holes per inch of canvas – and threads selected for a tapestry/needlepoint project are based on the mesh count. 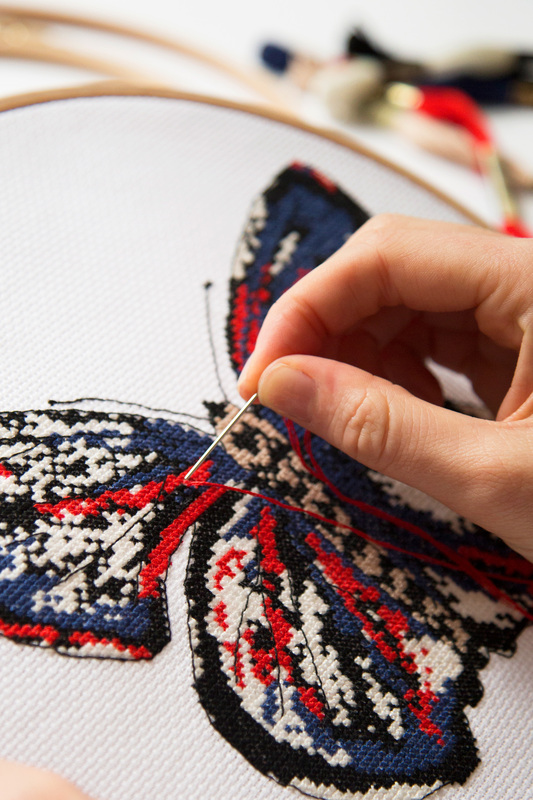 Thicker threads such as tapestry wool or #3 Pearl Cotton are used for canvases with lower mesh counts (fewer holes) and finer threads such as #5 Pearl Cotton, Mouline Stranded Cotton Thread, or other thinner threads are used for canvases with higher mesh counts (more holes per inch). The different types of tapestry/needlepoint canvas available on the market are Mono, Interlock, Penelope/Duo, Rug and Plastic Canvas, all available in a wide assortment of mesh sizes and colours. Mono canvas is a single thread woven canvas where both the vertical and horizontal threads are the same diameter and the threads are spaced the same distance apart. Mono canvas has a certain amount of “give’ to the fabric and is the choice canvas for cushions and upholstery. Interlock Mono Canvas is a single thread canvas and is distinguished by having the vertical threads bound around each horizontal thread “locking” them in place. This weave stabilises the canvas and makes it possible to trim the canvas close to the finished work without unraveling. Interlock does not stretch and is generally used for printed manufactured canvases and smaller projects. Silk gauze is a form of interlock and is used for very fine petit-point work. Silk gauze comes in numerous small counts making it perfect for doll house reproductions and detailed tapestry/needlepoint projects. Penelope/Duo canvas is a double thread canvas where both the vertical and horizontal threads are woven in pairs which create alternating large and small meshes in the same weaving to accommodate both large and or small stitches. Penelope/Duo sizes are expressed with two numbers to describe the counts of both meshes in the canvas such as 10/20. This canvas is perfect for décor items and for a mix of intricate and more quickly stitched large background stitches. Rug Canvas is a mesh of strong cotton threads, woven and twisted so that the threads are strong and inseparable. Canvases come in different gauges and mesh sizes are 3.3 and 5 the latter being better for more patterned work. Plastic Canvas is a stiff material that is generally used for smaller projects and is sold in “pre-cut pieces" and various shapes rather than by the yard. Plastic canvas is ideal for 3 dimensional projects because it can easily be cut to size and the edges will not unravel. Beginners who want to practice different stitches find this easy and inexpensive canvas easy to see and to hold in their hands.